All the leaves are brown yet the horizon is bright in this roam-worthy top. Draped in vintage-inspired florals, the Easy Breeze plays on tunic lines with tassel-trimmed drawcords at the V neckline and cuffed bell sleeves. 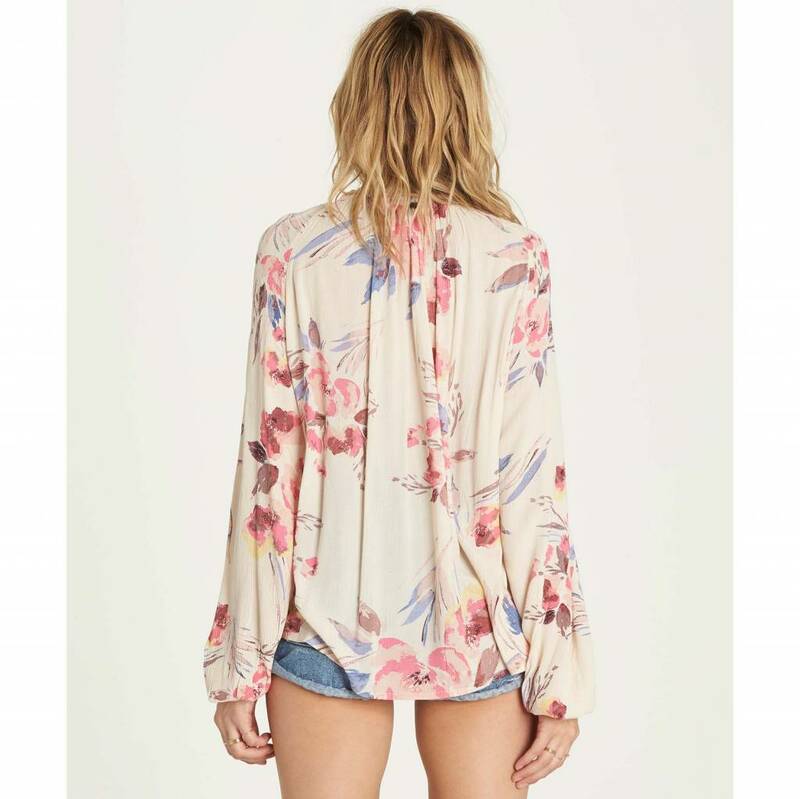 The floral print blouse is finished with a center front placket. Drawcord with tassel trim at neck. Wide sleeves with elastic at cuff. Alana is wearing Ivory and Sand Dune in size M.